Since we started to help people with their dog problems in 2003 we have been contributing to the welfare of dogs through other organisations. We believe that being part of an industry means we take on a commitment to contribute to the wellbeing of those within that industry, the dogs. By making donations and offering equipment to charitable organisations we are helping to ensure that less dogs are lost due to behavioural issues. When we help to solve dog problems with our products we help to reduce the number of dogs abandoned due to nuisance behaviour issues. By supporting organisations and charities we also help to re-home dogs that do get abandoned. If your organisation would like to be part of our commission network and also receive support then please let us know. Click here to ADOPT a lost or abandoned dog. ARQ was started as a result of the flood affected animals in South East Queensland in January 2011. They soon discovered that the existing shelters and rescue organisations in Qld were overwhelmed with animals yet there were still people wanting to help and still many, many animals to help. ARQ have helped many animals out of the shelter environment and into loving and caring foster homes; also allowing additional time to search for the families that must be missing their pets. Paws 'n' Hooves is a "not for profit" animal rescue group based in Sydney, New South Wales. Made up of a group of extremely dedicated volunteers, Paws 'n' Hooves main objective is to save animals from certain death in various pounds and shelters in Sydney and surrounding areas. SAFE.. Saving Animals From Euthanasia. Why should an animal be euthanised just because it does not have a home? 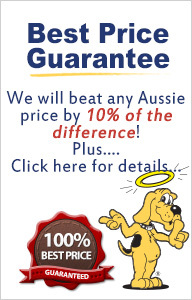 SAFE is a not for profit organisation committed to finding homes for animals who are in danger of being euthanised. Relying on a network of foster parents and volunteers they find temporary homes with loving families for abandoned animals until a 'forever home' can be found. SAFE are always looking for new foster parents, forever homes and financial support for the animals they save. Please contact SAFE at www.safe.asn.au/ if you would like more information to help save a life. How do we support SAFE? Over the last 3 years The Dog Line and it's related companies have made donations to help continue and grow the SAFE network throughout Western Australia. Foster parents are offered equipment to assist with training dogs before rehoming. 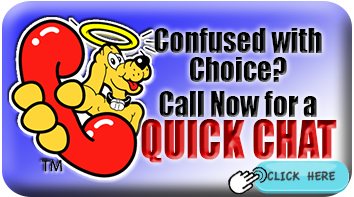 Should a new parent of a dog require assistance we are also happy to offer a discount. Referral Payment plan. In addition to our donations we also have a referral payment system where SAFE receives a donation should we receive referrals through their network. Since the begining of this referral plan in Sept 2006 we have made commission donations of over $2601.95. 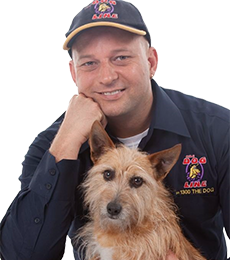 Another fantastic organisation The Dog Line supports in Queensland is Animal Rescue QLD Inc (ARQ). ARQ was started as a result of the flood affected animals in South East Queensland in January 2011. They soon discovered that the existing shelters and rescue organisations in SEQ were overwhelmed with animals yet there were still people wanting to help and still many, many animals to help. ARQ have helped many animals out of the shelter environment and into loving and caring foster homes; also allowing additional time to search for the families that must be missing their pets. ARQ is a 100% no kill organisation, working very hard to re-home these animals into new, suitable forever homes where they will be loved and cherished for the rest of their lives so please support them by visiting their website or Facebook page. Animals rescued from "death row" are taken to our foster carers' homes where they are treated like any family pet, until such time as a new and loving, "forever home" can be found for them. While in our care, these animals (mostly dogs and cats) are immunized, wormed, de-sexed, micro-chipped and treated for heartworm and other worms. In many cases, these poor animals have been abused, mistreated and are malnourished. Our valiant band of carers nurse them back to normalcy and good health with a lot of "TLC". Being a home based group, we can ensure that our animals are well socialised with both people and other animals and in most cases they are also house-trained. Another advantage of us being a home based group, is that you don't have to worry about "business hours" and in most cases our carers are more than happy to have you meet your prospective new pet at any suitable time including evenings and weekends. As carers we also have a reasonably good understanding of the animals we are caring for, so we can advise prospective adopting families of personality traits, and the likes and dislikes etc of the animals that you are interested in. Generally when a suitable family adopts one of our pets, they pay only for the reimbursement of veterinary fees which is around $250 for dogs and $150 for cats. Contact Paws 'n' Hooves for more information or if you would like to donate. Who do we actively support? Major sponsor of the WA Ranger of the year award. Since 2003 Colin Seal from The Dog Line has been a member and active supporter of WARA, the WA Rangers Association. We offer training and input to Trainee and current Rangers relating to the effective use of the dog training products we have available. Like WARA we are committed to promoting responsible dog ownership within the community. How do we support WARA? As a major sponsor we supply the annual Ranger of the Year award presented to the Ranger of the Year at the WARA annual training conference.